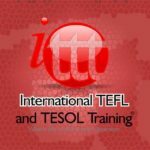 Should I Take an Online TEFL Course? Can you afford to travel to the country you want to teach in? Can you pay for the air-fare, room and food? Will you have enough money to hold you off until you find work after you complete the course? If you said no to any of these questions then you might want to consider an online course. 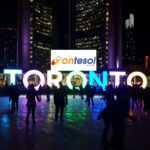 Online TEFL courses are the most affordable way to get qualified and teach English abroad. 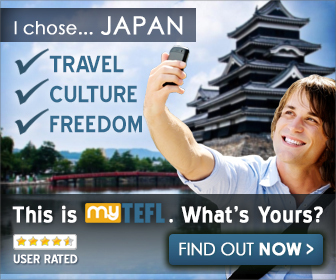 “Should I take an online TEFL Course?”. A question that can only be answered by you. Online TEFL courses offer alternative method to educating oneself without the need to be present. In other words, you can do it in your own time. This is huge for people working 9-5 lifestyles with little time to devote to other activities. Lots of people are interested in online TEFL courses today. There are plenty of people all around the world who are interested in learning English. Being able to teach English is a truly useful skill these days. There are still countless college graduates who are struggling to find jobs these days. College tends to give people excellent reading, writing, and language skills in general. However, it does not necessarily give people the sorts of practical skills that will truly prepare them for the working world. Many students do not take vocational training specifically. They’re interested in the college experience and in being able to develop intellectually. It should be noted that it’s very important for people to have some sort of plan for their post-graduate years. Lots of college graduates are in a position where they have no idea what they should do once they’re actually done with their education. The fact that employment opportunities for everyone have been sluggish for a long time doesn’t help. Young people in particular have been struggling economically for a long time by this point in time, to the point where it’s more or less one of the defining traits of the Millennial generation. Taking online TEFL courses can truly allow Millennials(See: Why millennials love online TEFL courses) to take their lives in a new direction. People who have already taken a lot of college courses that didn’t manage to get them a job will often be frustrated with the situation. Fortunately, many of the different types of vocational training that are out there today can make a huge difference for the people who have this sort of background. Online TEFL courses will allow people to use all of the language skills that they acquired in college over the course of actually completing their degrees. Students will be able to actually apply those skills in a way that actually makes sense when they learn how to teach English as a foreign language. There aren’t a lot of ways to actually make a living purely through verbal abilities at this point in time. Teaching English is a way of making that happen. There are many job opportunities for the people who are interested in teaching English as a foreign language. People all around the world are interested in learning English, which is still one of the most important languages in the world of international business. 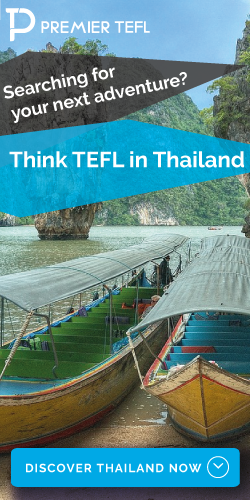 Taking online TEFL courses can truly prepare people for the real world, since the ability to speak English is an important real-world skill that a lot of people want and that many people won’t have. Advanced English speakers already have a good portion of the skills that they need in order to teach English in the first place. These courses can give people more of an academic background in the subject, allowing them to truly help their new students. These courses can also help people get through some of the specific situations that will tend to arise when teaching English to foreign-language students. Teaching actually requires a high level of social skills, and this has always been the case. The online TEFL courses that people can try for themselves can really be an asset for those who want to prepare for a career in this field. Some people look back on their years of teaching English abroad very fondly, thinking about all of the time that they spent in a different country helping students learn a new language. All the friends you will make, moments you’ll share together and it’s all apart of the experience. People will increasingly struggle to find jobs in a global society that has a great deal of automation and that seems to have more and more qualified workers all the time. The people who learn how to teach English abroad will have a degree of job security for a while, and online TEFL courses can get the job done.